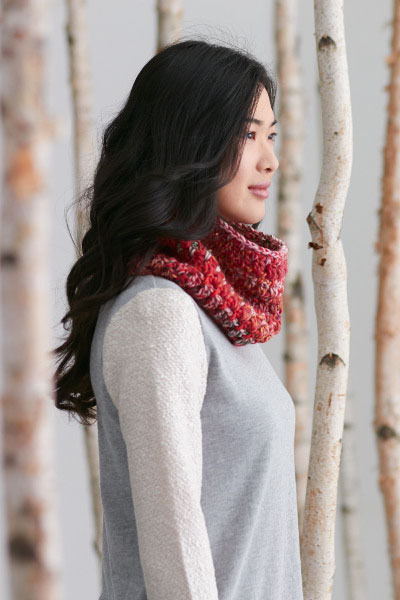 This warm and chunky crochet cowl is perfect for layering over a trench-coat for a winter look that’s both elegant and comfortable. Ch 68. Join with sl st to first ch to form ring, taking care not to twist chain. Rnd 1 (RS): Ch 3 (counts as hdc and ch-1 sp). Skip first 2 ch. *1 hdc in next ch. Ch 1. Skip next ch. Rep from * around. Join with sl st to 2nd ch of ch 3. Rnd 2: Ch 3 (counts as dc). 1 dc in first ch-1 sp. *2 dc in next ch-1 sp. Rep from * around. Join with sl st to top of ch 3. Rnd 3: Ch 3 (counts as hdc and ch 1). Skip first 2 dc. *1 hdc in next sp between last group of 2 dc and next group of 2 dc. Ch 1. Skip next 2 dc. Rep from * around. Join with sl st to 2nd ch of ch 3. Rep 2nd and 3rd rnds until work from beg measures 8” [20.5 cm], ending on a 3rd rnd. Fasten off. I like this and I will probably make it sometime next week…working on ear mugs now. Thank you! This is beautiful. I hope the first comes out good so I can make others throughout the year for presents. Thank you again! Thank you for the pattern. I cannot log in and I’m not getting an email to reset my password. I don’t know what’s wrong or why I’m not getting the reset email. Please help! Thank you for the free pattern. Love this. Thanks for the gift! Looks like I now have a prayer to make for my nieces. Thank you. Looks easy enough. 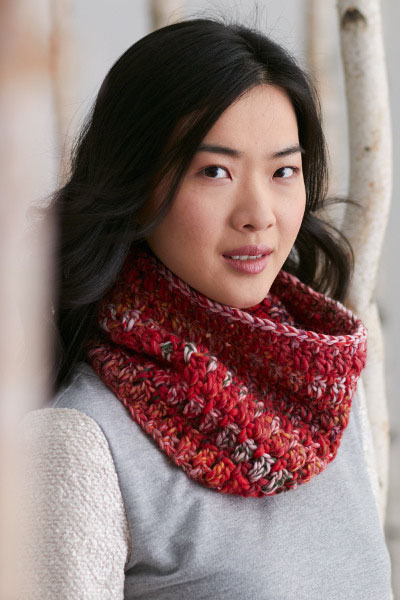 Thank you for sharing this lovely cowl pattern with us! This pattern is so beautiful! Thank you for the gift. I am hoping to be able to get back to crocheting soon.. this might do it. Thank you for the cowl pattern, this was a nice suprise. Made the cowl and then with a few adjustments made a matching headband. Might make some sets as gifts. Very easy pattern, thanks. 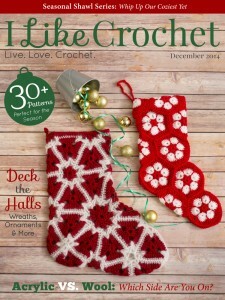 Would like to for me to mail u some free patterns or books. I haven’t crocheted in years, but am going to give this a try. Haven’t tried to make one of these yet. This will be my first project to try for the New Year. Your clear directions “give me hope.” Thank You for the pattern. Beautiful. can’t wait to start. I love the look of this cowl. Would u have a pattern for a neck warmer? I dont understand this. Please send me a video as how to make this shawl. Pretty can’t wait to try it! Thank you! I love it , Thank you for the free pattern . Thank you for the free pattern. I am a South African and cannot subscribe as our postal service is not very reliable. Thank you so much for sharing your pattern. Love the colors and that is is an easy skill level. Sometimes it is just fun to make something for fun and destress from everything. Thank you so much, have been looking for an easy pattern. Love the color. Will look great on my granddaughter. I want to thank you for your gift. I look forward to making it! This cowl looks great. Look forward to making this. this pattern looks easy to do. i am looking forward to trying it. Thank you. I like this cowl.